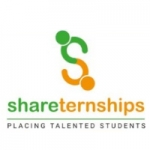 At Shareternships, we're specialists in securing internships for the brightest students and graduates in the UK. Our team has been doing this for more than 20 years, and our experience covers a great range of sectors. As a business, Shareternships has been active for more than five years, and in that time we've helped countless young people find their perfect placements. Our revolutionary shared internships give you the experience you need in the flexible way your studies require. With excellent contacts, a passion for work, and great experience, we're the obvious choice, so contact us today. In short, our team is able to offer the best service to students and companies. For students, we provide great opportunities to get experience in your chosen field, while companies get the brightest talent in the UK working in their company. The sectors we cover include accounting and finance, business, catering, and marketing. There's something for everyone, so apply today.